Two 8" cheesecakes, shipped in one box! 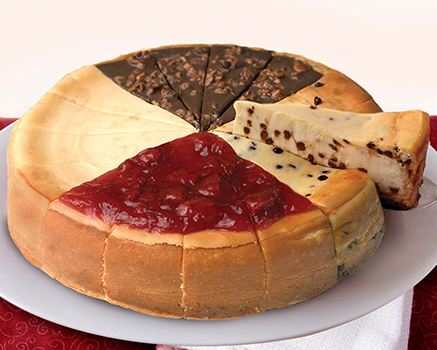 You'll get a rich and creamy Egg Nog Cheesecake and a festive Candy Cane Cheesecake. Perfect for holiday parties, buffets, or as a gift for the office. Each cake is 8" and pre-cut into 12 slices.